•	BAMA business meeting and dinner program started at 5 pm with registration and signing in process. 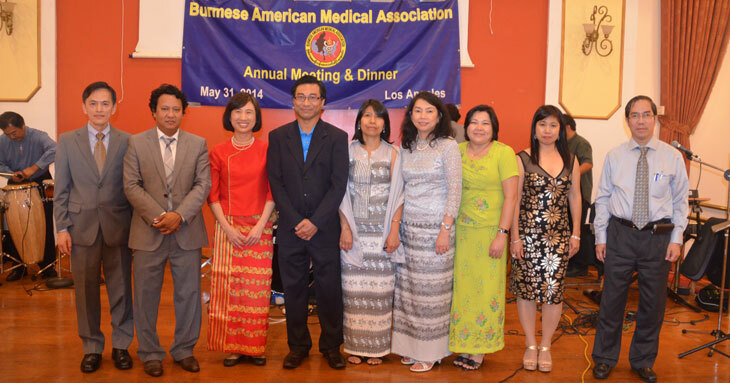 •	At 6:20 PM, Parliamentarian Dr. Mya Myo Aye welcomed the BAMA members, families and guests. One Legacy foundation and Abbvie LLC were appreciated and thanked for sponsoring our dinner program. •	At 6:30 PM, outgoing president Dr. Sandar Kyi conducted her farewell speech. •	At 6:45 PM, new EC committee and subcommittee election was held by Board of director Chair Dr. Thomas Lee .Then; new EC members introduced themselves to the BAMA family. 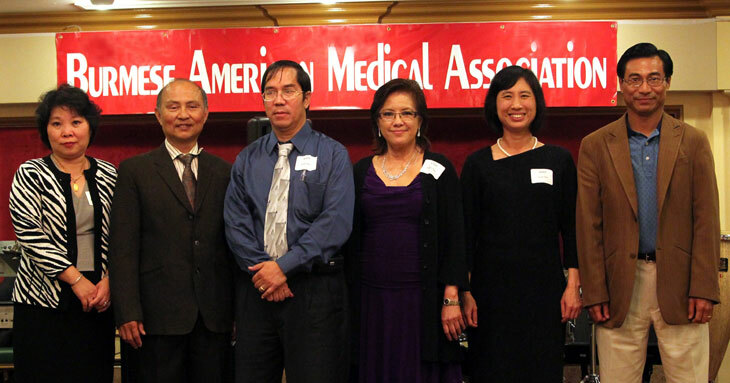 •	At 7:00PM, New President Dr. Ohnma Win gave a speech and introduced new members. •	At 7:10 PM, Dr. Cho Lwin gave financial report. Dr. Khaing Myint for his service as the president (2015-2016) of BAMA. 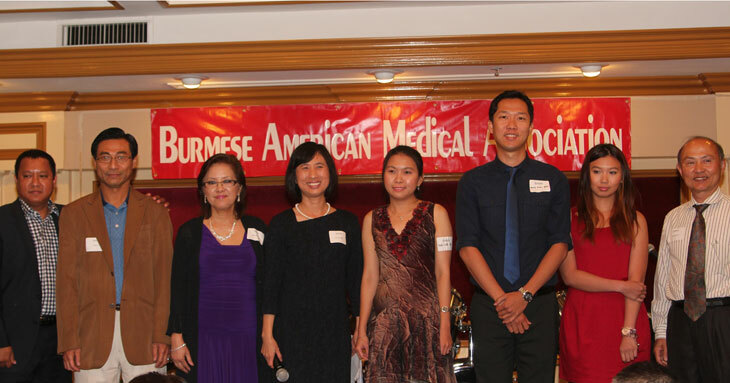 Then education committee Chair (Dr. Than Saung Lin) and Co-chair (Dr. Khine Khine Win) presented the award plaques to the medical graduates who scored well in USMLE exams. 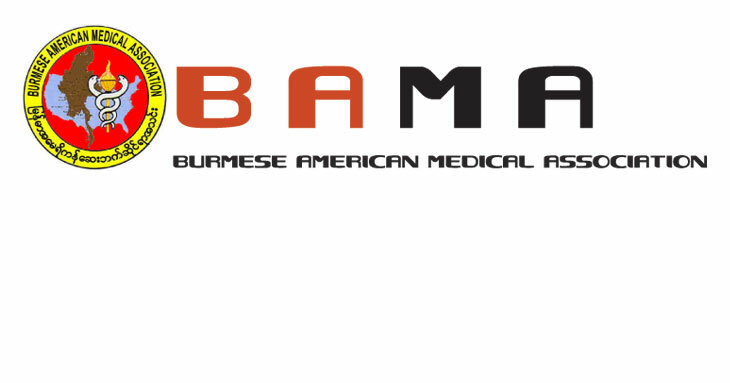 •	At 7:25 PM, entertainment program with Dr. Khaing Myint’s music band was started with BAMA group song. •	Dinner was started and entertainment committee Co-Chair Dr. Sanda Win took over as MC. BAMA audience was entertained by famous singer Ni Ni Win Shwe, BAMA family members with songs, dance performances & Tai-Chi. •	Gift cards were given to winners of the game. •	Dinner was attended by approximately 210 members, families, friends, invited guests, residents.